It has been a while since I’ve been to Davao. All I remember was that the it was a clean and safe city. I had stayed there for 4-5 hours only because I was working as an OJT in a shipping company. This year, however, I got a chance to visit Davao again. 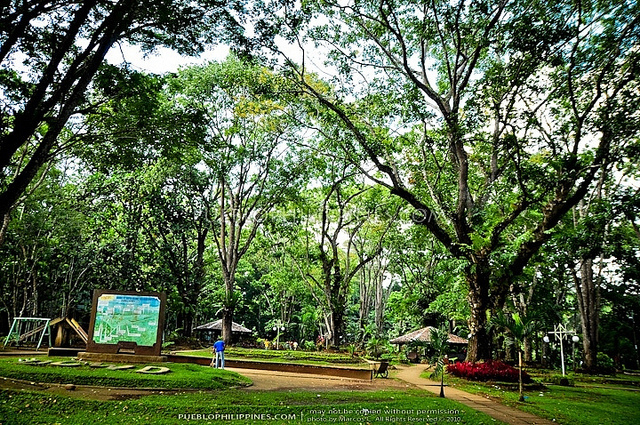 At first I was quite hesitant to go to Davao since I preferred going outside the country. The airfare going to Davao was only around Php 3,000, and I booked a hotel (with breakfast) for only Php 1,000 a night. Though I stayed in Davao for only three days and two nights, it was one of the best trips I have ever taken. Like I remember the first time I went there, I saw that Davao was still a really clean and safe place. According to my taxi driver, their Mayor is so strict, calling him ” kamay na bakal,” which means iron hands. According to the taxi driver, there are stories floating around that if someone dares to be a hard criminal, the mayor would ask someone to kill that person without going to court. That’s the reason why people there are all afraid to commit crimes. His name is Mayor Duterte. Sometimes, we need to have a stronger authority to discipline us, but I don’t know about ordering to kill people. Then again, this is just the “story” of my cab driver. Also, I can really say that foreigners will be safe visiting Davao. I was even surprised that the taxi driver even gave me Php 2 change. Even the hotel staff were really good. They were always smiling and greeting us. However, when it comes to jeepneys and multicabs, it is quite same as in Manila. Surprisingly, the restaurant food is so cheap, even as much as 50% that of Manila’s prices. 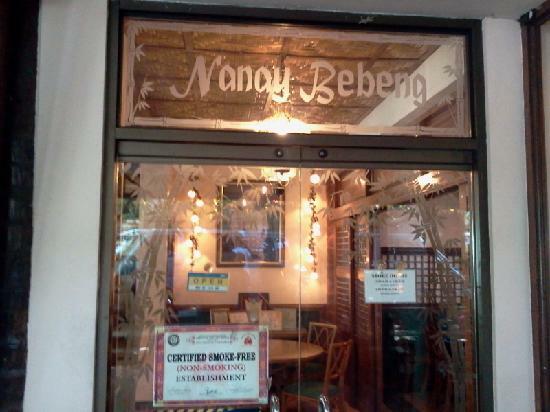 I ate at a Filipino restaurant called Nanay Bebeng, and their tuna was cheap but good. I even ate at a buffest for only Php 320, and it was much better than Cabalen, a famous buffet restaurant here in Manila. They served various kinds of dishes with free drinks and sashimi ( raw fish), which is quite expensive in Manila. 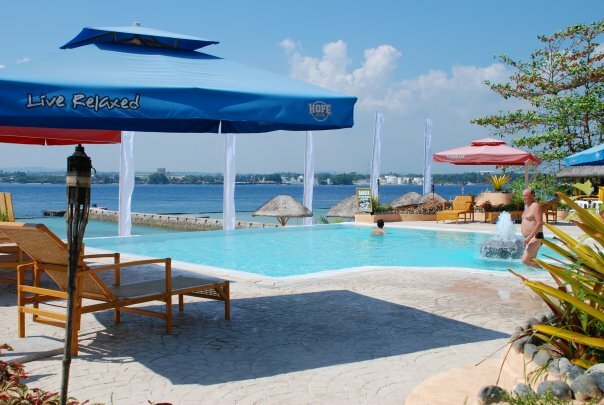 When it comes to tourist attractions, there a lot of places to visit, especially the beaches in Samal Island. From the city proper of Davao, you can take a multicab going to the port, and it will cost only Php 25 pesos. After that, you can take a ro-ro or a boat to Samal Island, which will cost only Php 15 since the travel time is only 10-15 minutes, and there’s a boat every 10 minutes. There’s a lot of beaches to choose from. But during that time we chose to go to the Blue Water Resort. Upon arriving at the port of Samal Island, you can ride a motorcycle going to your designated beach resort. It will cost only Php 50-60 pesos for two people. Surprisingly, the entrance fee for the resort is only Php 90 per person compared to the expensive resorts in Cebu. The resort we chose had a pool and a beach. Although the beach was not as good as Boracay’s, the sand is white and the water is really clear. 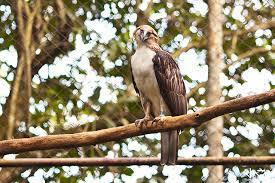 If you are a big fan of animals, it also a good idea to go to the Philippine Eagle Center. It’s a bit far from the city proper of Davao since it is an hour drive or commute using a multicab for Php 40. After an hour of commuting, you need to ride a motorcycle again, which will cost about Ph p50, to get to the Philippine Eagle Center, with an entrance fee of Php 50. 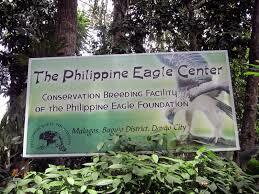 The center was really like a jungle since it is also a breeding place for the endangered Philippine eagles. You can see several Philippine eagles, hawks, owls, and some other animals like monkeys and deers. If you’re an animal lover, I am sure that you will really enjoy this place. Another place I would recommend is the Crocodile Farm, with an entrance fee of Php 150 per person. There is a variety of animals there, with a focus on the crocodiles. 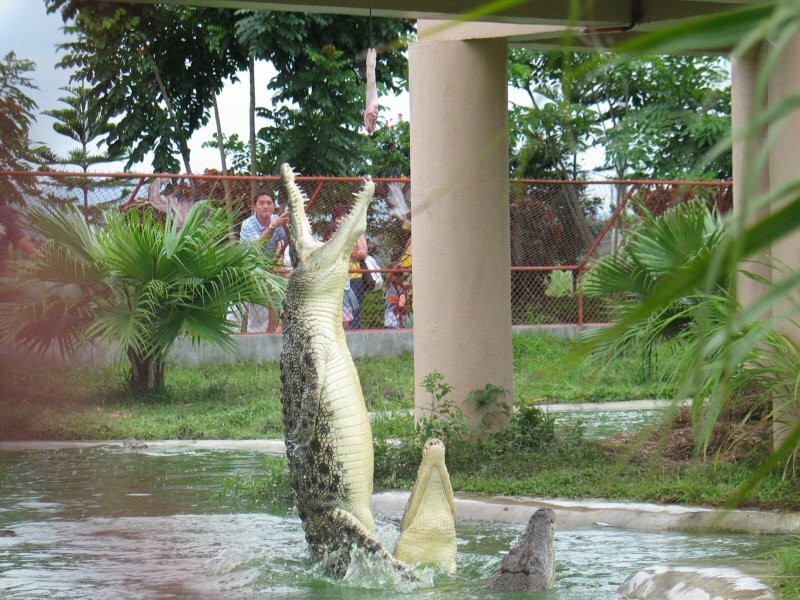 You can meet and greet their biggest crocodile named “Pangil,” and you can even see how they feed him. It was so worth going there since they even had a quite entertaining bird show. To get there from the city proper, you can just take a taxi, and it will cost you roughly Php 150. 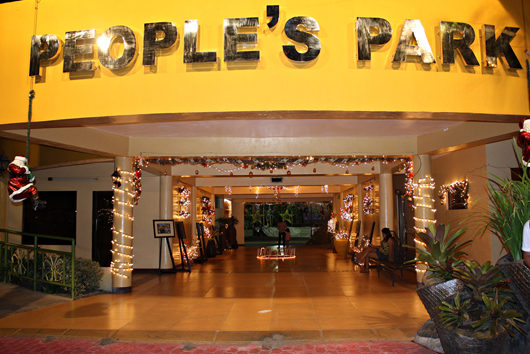 If you are really on a tight budget, you can also visit People’s Park. It’s located at the heart of the city. 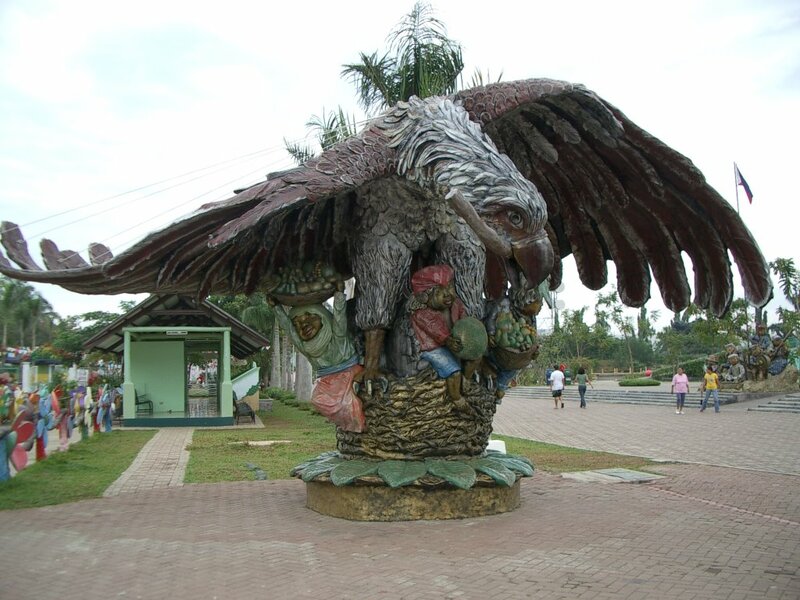 It’s not an ordinary park since it has statues of eagles, and there are lots of durians there. 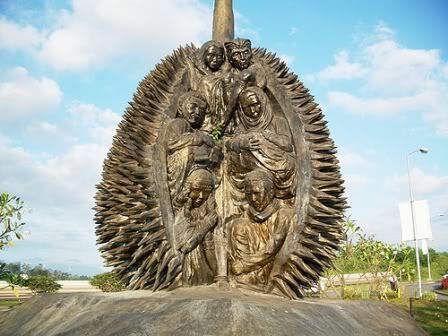 Who can forget the durians when in Davao, right? All in all I can say that its better for me to go to Davao rather than Cebu when it comes to safety, friendly people and I can also include places to visit. There’s a lot of places I haven’t visited in Davao. For now, those things I can share but for sure I will definitely go back there again someday. 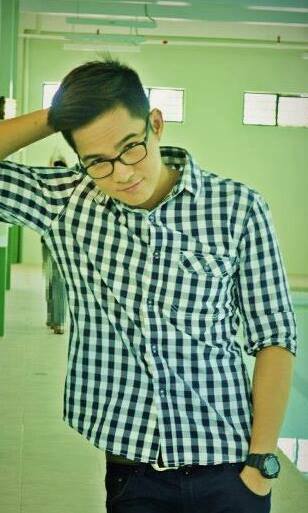 ABOUT THE AUTHOR: Edmond Apolo is a former student, currently marketing specialist, at the American Institute for English Proficiency (Makati and Quezon City).